THE DEVELOPMENT The Edwardian property on the corner of Cleveland Row and Little St James’s Street in London’s Mayfair SW1 was being converted from an office space to six luxury apartments by the Crown Estate with Frank Verity as architects. 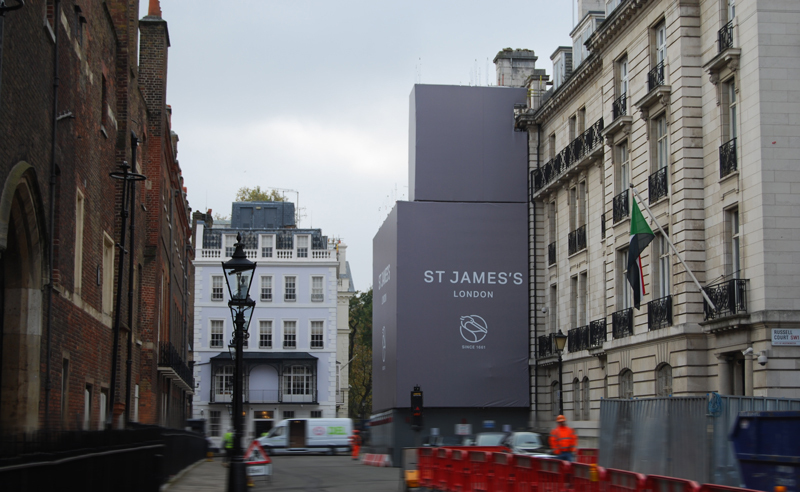 THE BRIEF To cover the both street elevations and present a smart, on brand image for St James’s London. 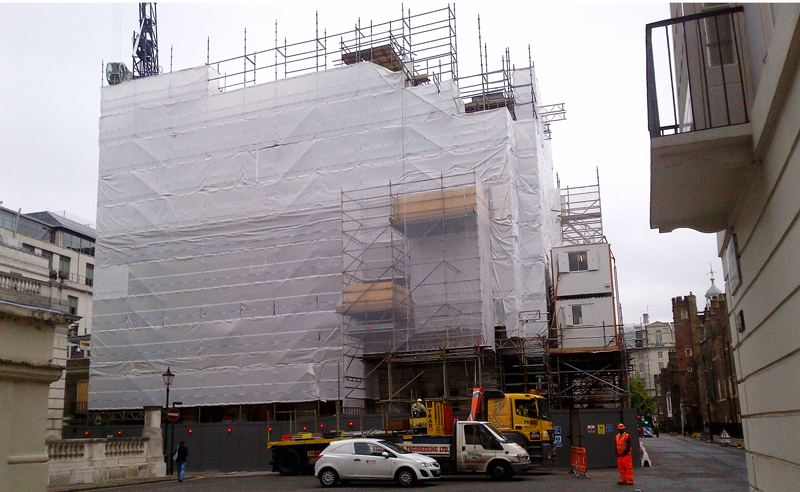 This would include safely covering he existing Edwardian façade without causing damage, hiding the big E crane, HAKI stair tower, builders cabins and also accommodate building monitoring points. Given the complexity of the area to be covered we understood that this would be one of the most intricate geometric building wraps shaped we had ever produced. THE SOLUTION Embrace Building Wraps naturally had the project in hand. 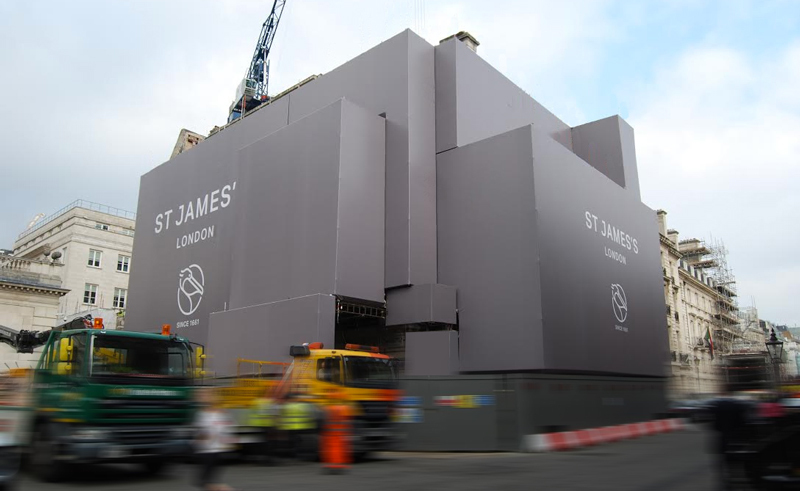 The solution required a total of eight separate building wrap frames and also eight separate banners to completely conceal the works and elements required. 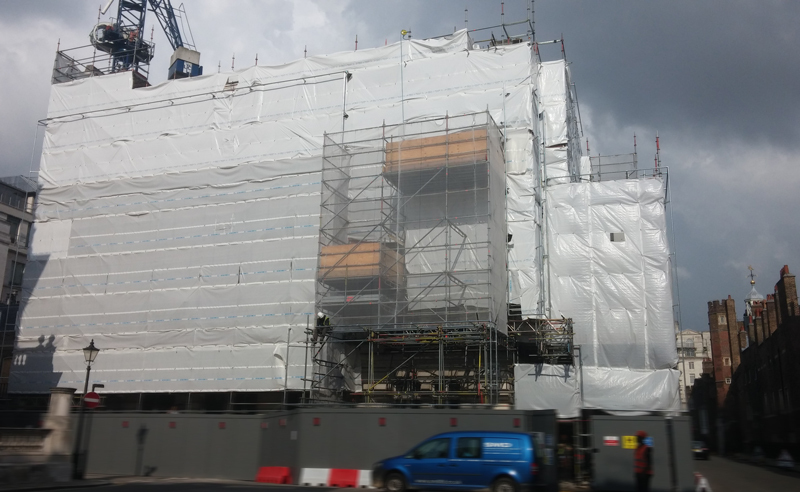 By attaching the banners to a scaffolding frame system we were able to totally box out all of the components, with precise measurements and skilled, exact implementation absolutely essential. 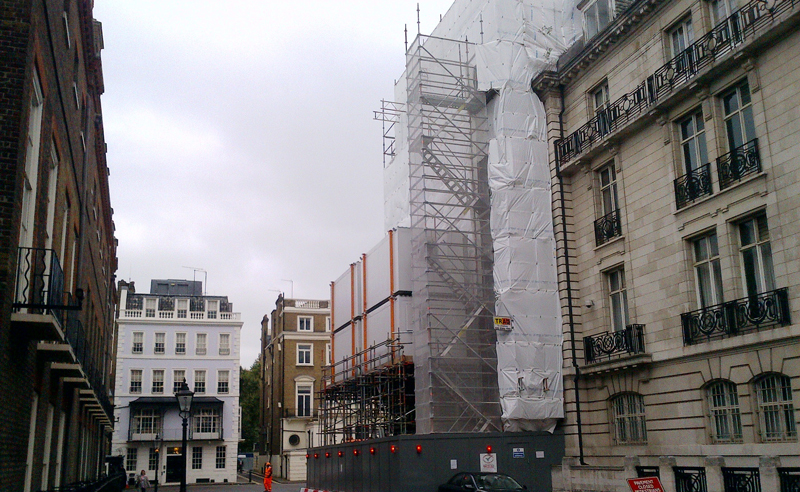 When delivering a scaffolding banner solution in Mayfair it is always essential that the solution is smart, stylish and oozes sophistication. This is exactly what we delivered at Cleveland Row. The works, rather than causing an ugly disruption, seriously enhanced the brand image of the developer and created an excitement in the area around the works that were being undertaken. We were delighted that this tricky, multi-tier and elevation install was completed ahead of schedule and, as always, on budget.  We guarantee to our clients that the price we quote following the site survey will be the price paid. You can take our word for it. Another delighted regular customer, a stunning building wrap, and a pleasing environment for the locals and passers-by.